Here’s an interesting post from Michael Cristiano on Ryan Lanz’s blog on the topic of quickly releasing multiple novels. Take a look ;)! Dear Writer: STOP Releasing So Many Novels! 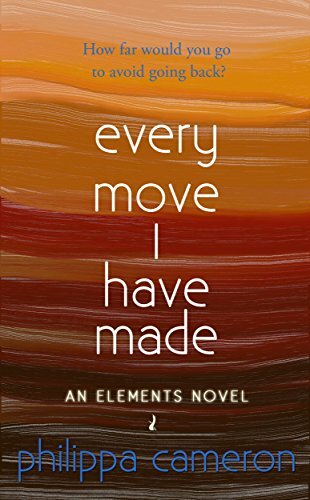 Every Move I have Made is a suspense-filled, roller coaster of a story that will keep readers on the edge of their seats until The. Very. Last. Sentence. Cameron’s prose flows smoothly, the dialogue is witty and humorous (particularly when it comes to Hayley and her friends), and the characters are well-developed. Fans of suspense and mystery will be thoroughly entertained, as will the YA audience with Cameron’s authentic teen characters and a story line that will engage teen readers. Space travel and time travel collide in this entertaining story by G. L. Tomas. Tomas’s story is captivating from the beginning, with well-crafted characters that readers will connect with on multiple levels. The adventure and mystery begin right away, ensnaring and enthralling readers in a fast-paced, entertaining read that also manages to be thoughtful and funny. 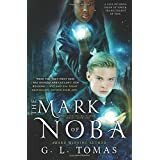 Fans of sci-fi and YA will enjoy The Mark of Noba immensely. The Unforgettables is a charming coming-of-age story that readers young and old will enjoy and connect with on multiple levels. The prose is on point, witty, culturally relevant, and flows from the page with ease, drawing readers into its entertaining web. The YA audience will connect with Paul and Felicia whose characters are well-drawn teens, while the adult audience will laugh, smile, and cry as they recall what it was like to be a teen—angst, good times, and all. In addition to an entertaining and relatable story, Tomas also provides readers with lessons on non-American cultures and traditions. For instance, Felicia’s character is a first-generation Haitian-American, while Paul’s character is half-Japanese and Buddhist. Furthermore, Tomas includes non-binary and trans characters in supporting roles, giving readers even more of a reason to read this wonderful tale. Cheers to Tomas for creating not only an entertaining read, but one that readers can learn from, and one that reaches a wider audience. The Unforgettables is not to be missed. It is a truly an unforgettable story (pun totally intended there!). Touch of Power is a fast moving high fantasy/political thriller/romance novel that will leave readers wanting more. And they are in luck. Touch of Power is the first book in The Healer trilogy, so fans will have plenty of opportunity to stay connected with Snyder’s characters and story. The prose flows easily, allowing readers to be drawn into the story with ease. Snyder’s well-drawn, lovable characters will touch reader’s hearts, drawing them further into a web of entertainment and intrigue that will leave them unable to put the story aside. Readers who enjoy fantasy with a sweet romantic element and plenty of action, won’t want to miss out on this one! Odessa Lace: Teenage Gypsy Detective is the story of Odessa Lace, a girl who believed she was ordinary until her sixteenth birthday when her life becomes more extraordinary than she ever could have imagined. Clark’s smooth blending of mythologies from multiple cultures makes this story a standout, giving it a backstory that is intriguing, and a cast of fascinating characters. While the novel is geared toward a YA audience, the story itself does not necessarily “feel YA,” which gives it crossover appeal. Fans of mystery, fantasy, and YA novels will not want to miss this short, sweet introduction to what promises to be an enjoyable series! The Guardian, a Sword and Stilettos is a fast-paced, action-packed plot. Van Risseghem’s novel tells the story of Zoey, your average run-of-the-mill teenager with some not so average friends and a destiny that will thrust her into an epic battle of good vs. evil, with the fate of the world hanging in the balance. Van Risseghem’s story is gripping from page one with a writing style that is fluid and a knack for crafting intense suspense, all the while maintaining an authentic teenage voice. The fast-paced nature of the plot will keep action fans hooked, while the well-developed characters, authentic teenage voice, romance with a hot Nephilim, and typical high school drama, will ensnare fans of YA paranormal romance and fantasy. Fans of Lauren Kate’s Fallen and Becca Fitzpatrick’s Hush, Hush series won’t want to miss the first installment in Van Rissgehem’s The Enlighten Series.